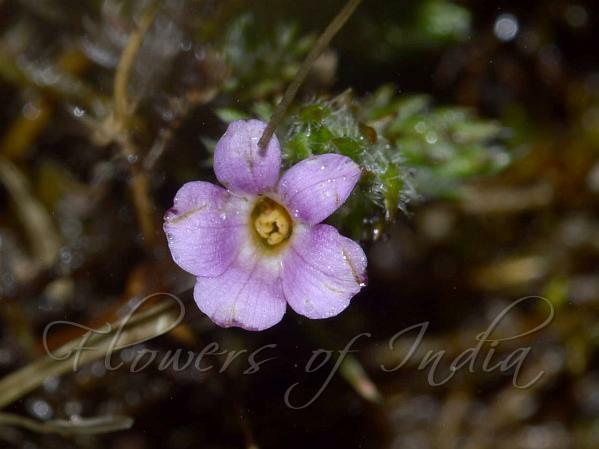 Nash Jhaar is a hairy creeping plant often found carpeting the ground in forests and shrubberies of the Himalayas, from Uttarakhand to NE India and SE China, at altitudes of 1800-3600 m. Flowers are small, solitary, stalkless, pink in color, 8 mm across, with 5 spreading petals. Flowers are not very noticeable, neither is the plant. However the plant becomes distinctive in fruit, with its shining red berries, 8 mm across. The other interesting thing about this plant is the leaves. 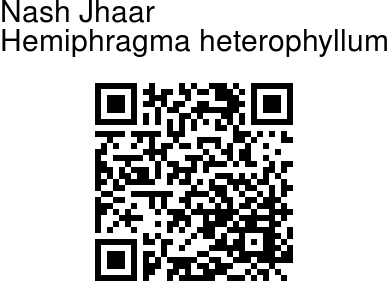 As the species name heterophyllum suggests, there are two types of leaves. Leaves on the main stem occur in opposite pairs, stalkless, 0.5-2cm long, leaf margin slightly toothed. Leaves on branches are crowded, needlelike, sometimes linear-lanceshaped, 3-5 mm. The creeping stems grow up to 1-2 ft long. Flowering: March-May.